CAD software allows architecture to be more precise in construction using new design software. However in CAD revolution in building design, Building Information Modeling has been introduced based on digital information exchange which changed the way construction industry works. 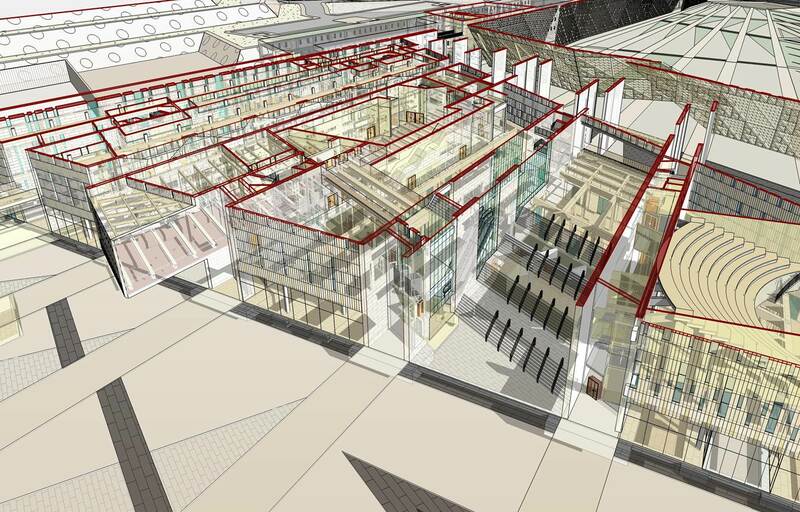 BIM presents an evolution from traditional 2D design to object based 3D modeling. There ar 2D, 3D, 4D, 5D and 6D modeling methods in BIM. Generally in 2 and 3D modeling allowing accurate estimation on cost, quantities, productivity building life cycle, cost and sustainability and environmental factors. BIM and costX integrate together and make it more efficient in reducing the costs and time factors of the projects. In todays property industry, time and cost became the determinations of how the technology is used in where and how. In week 9’s guest speaker Caitlin Hintz opened a door for me to discover further about CostX. The main goals of the business is to view at a holistic stand point and drives on innovative approach to projects and help organisations to be strategic, present the information more dynamic, holistic, results driven process, and speed up the developing and implementing process with new technologies. Mitchell Brandtman’s role in BIM integrated technologies to support the projects delivery and cost factors using the scale of; process, technology, and behaviour. The best way to integrate the idea in a visual form is by using the cube diagram above, which demonstrated the shift of behaviour on narrowing issues down to a simple clear scale. It is interesting to note down the accurate information to the right people at the right time. 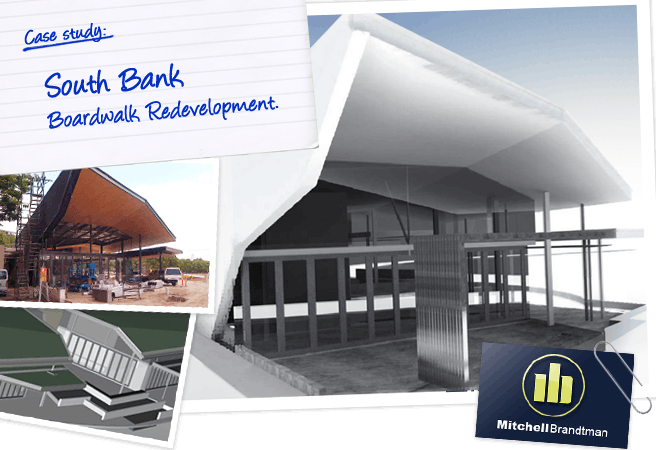 An interesting case study I found with South Bank Corporation on South Bank Boardwalk Redevelopment value at $12 million in March 2010 – 2011 April emphasized on the Mitchell Brandtman’s contributions. The models were completed using CostX expertise, the team focused on the value management through out the design stage using 3D IT technologies, which presented accurate quantities and solution on costs for the project. Additionally, allowing instant snapshot of alterations to be revised at every stage of the project.